Turn a classic children’s song into a storytime activity with our Animal Buttons and a few craft materials! Your students will love the interactive quality of the game. 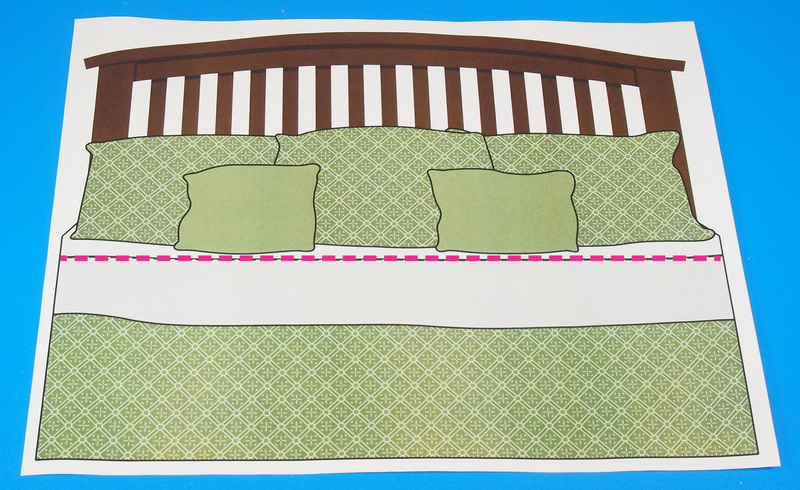 Choose from a variety of different templates below to help you make your own Ten in a Bed! The Ten in a Bed song is ideal for learning to count numbers and exploring number management, patterning, and sequencing! Incorporate memorization with singing song lyrics, and develop fine motor skills with physical game interaction. 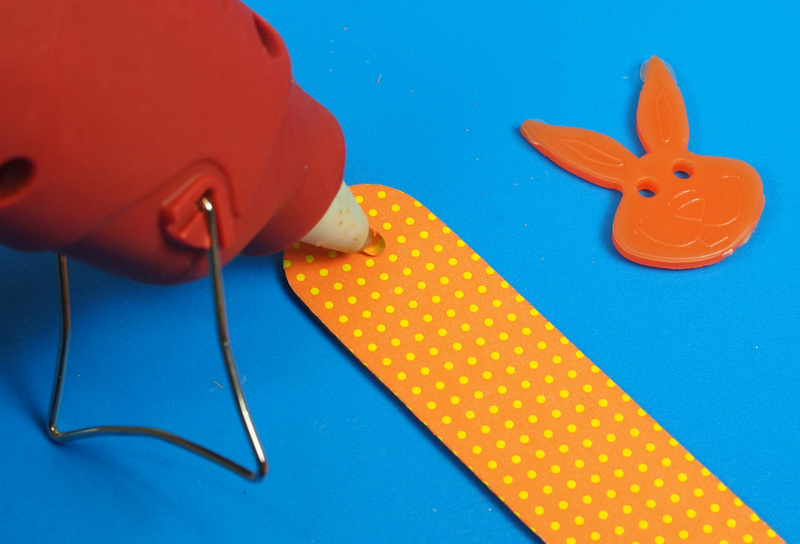 For this activity, you will need to use a hot glue gun. Make sure you always use adult supervision while handling a hot glue gun. 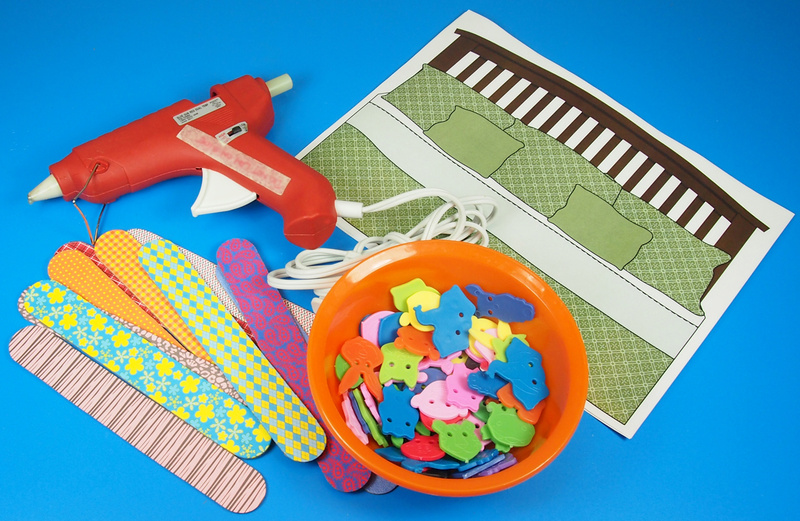 It would be ideal to first demonstrate to your students how to put together the craft, then station yourself at the “hot glue gun” area to make sure children don’t hurt themselves while using it. Pick any one of the following bed designs to personalize your story-time Ten in a Bed activity! Click on the image or the title below to reach the PDF. Once you have accessed the PDF, simply print out the design to a color printer on regular 8.5 x 11″ printing paper. 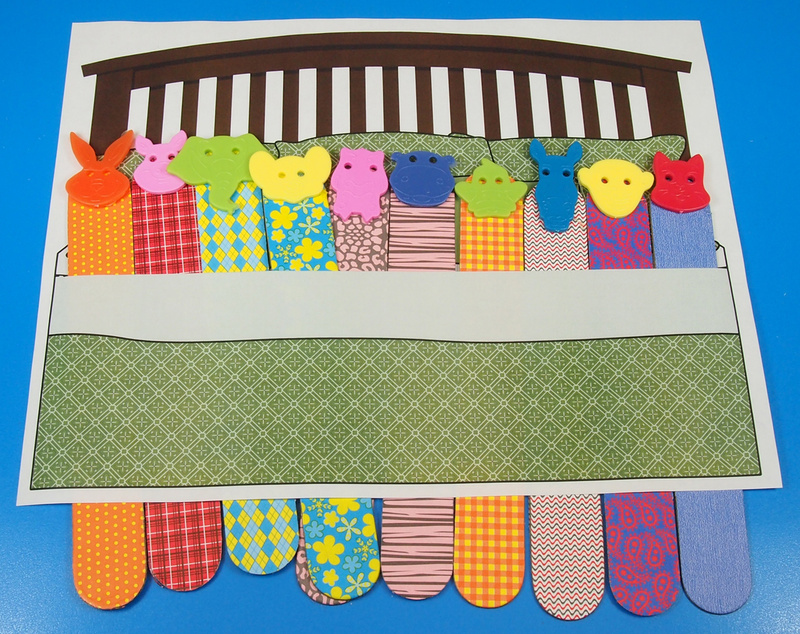 Use the paper design as a backing for your Ten in a Bed storytime activity. If you would like for each student to make their own Ten in a Bed activity, print out the blank template (at the top of the list). Students can color in the bed with crayons or markers, or decorate with stickers to personalize their craft. Cut the printed sheet out along the straight line in the center of the image. DO NOT CUT the bed into two pieces. The bed should separate only in the center like a pocket. Now to make the ten animals! 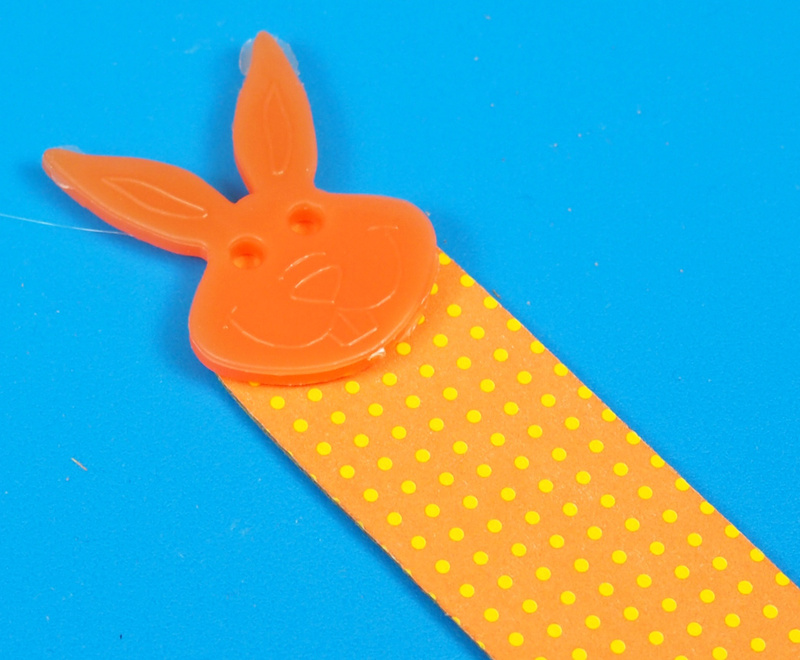 Select your Animal Face Button and hot glue it to the top of a Fabric Craft Stick. Repeat for all ten animals! 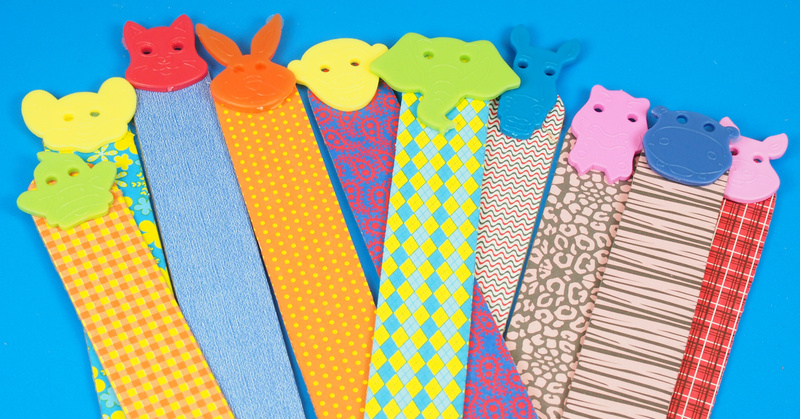 You can mix and match the patterns on the Fabric Sticks with the color of the Animal Face Buttons. Slide your ten animals through the pocket opening of the printed bed image. Here’s a link to a good rendition of this song! If you want to keep your Ten in a Bed storytime craft for longer than usual, make sure to laminate the bed piece after it’s been cut. This will help protect the sides from ripping after demonstrating the activity several times. Thanks for hanging out with us today! We’d love to get some of your input on our projects. Send ideas or photos about your own projects to us for a chance to be featured in one of our upcoming posts! Contact us through the contact form. We’d love to hear from you! This entry was posted in Crafts, Language Arts, Math, old and tagged 10 in the bed, animal face buttons, animals, art, craft, fabric craft sticks, playtime, school, song, ten in a bed by roylcoblog. Bookmark the permalink.